Do you want to be able to record a video of your iPad screen? Assuming you want to create a guide involving iPads then it is certainly important that you’re able to do so, but you may also want to do other things such as record videos of apps on an iPad, or grab and save videos that are streaming there. Frankly speaking being able to record your iPad’s screen could help in many different ways and exploring them all may be exciting in its own right. 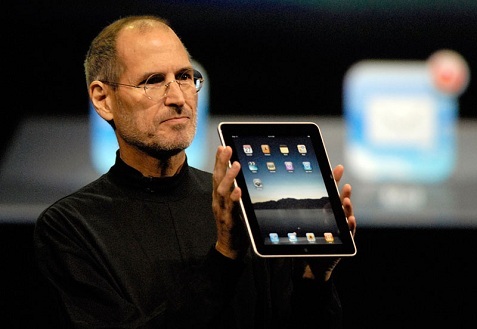 Ever since Steve Jobs introduced the iPad to much fanfare and the product took off and started a whole new product category, the market has been flooded with competing products as the country has basically gone tablet crazy. Even young kids basically expect some sort of tablet these days, making things very tough on parents trying to monitor what they do online. People of all ages enjoy these devices as they can be used for so many different purposes, and computer companies like HP that didn’t come up with a good competing product are getting crushed as PC and laptop sales have struggled. With all of this in mind, here’s a great article from the NY Times that lays out many of the different options. For starters, you should simply avoid the ultra-cheap knockoff options. It’s tempting to go that way, but in many ways you’ll be wasting money. After that you really need to consider who will be using the tablet. Kids are obsessed with games and texting. Many women and adults like to read books. Others like to surf the web for funny videos, interact with others in social media, play casino games at sites like partycasino.com, or just read the sports page. Some on your gift list may not use computers much, so you sometimes need to think about how they would love to use these devices once you point out uses for them. E-readers have become more popular and frankly more articles, so the article linked about deals with those options as well. Consider traditional e-readers versus the new color options. Then you have the most basic choice between Apple and Android. Microsoft has also entered the debate though it remains to be seen if they can get beyond a sliver of the market. There are tons of choices, so do your research online before you hit the stores. The new iPad 3 won’t have these features, but here’s a glimpse of what the future could hold. With the buzz surrounding a new iPad, here’s the wish list from consumers. A new iPad from Apple is expected in early March, and consumers are quite opinionated about improvements they’d like to see in one of the best-selling tech devices of the past few years. We reached out to consumers for feedback. In a nutshell, they want a USB port to connect the iPad to other devices, faster processor, expanded memory, better resolution and a lower price. The USB seems like something Steve Jobs would never agree to, but hopefully the new Apple will add this feature. Apple is the only company that consistently gets big buzz out of the International Consumer Electronics Show in Las Vegas — without even attending. Connected TVs — TVs that connect to and can access content from the Internet — will be a big part of CES this year. And just about everyone in tech expects Apple at some point to launch such a television — an iTV — that easily consumes and shares with other Apple devices content served from the company’s media-storing iCloud. Microsoft made news earlier by saying this was the last year they would attend CES/ Why attend if Apple gets all the buzz anyways? Maybe Microsoft should focus on new products instead of protecting its Windows/Office cash cow? Or maybe not . . .